Home / Worship 101 / Worship Houston / Victory at the Old Gate! What the Lord showed me, was the enemy kept taking shots at me every time I would go to the City Gate, things I had no knowledge of, and had prayed before but not with this level of understanding. So I felt the Lord lead me to my family house with my mother and my sister and pray and reveal to them what the Lord had showed me. 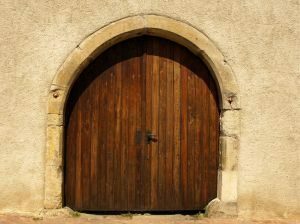 At the end, my sister saw the three of us holding our arms out like in the children’s game, Red Rover, Red Rover, and the three of us were standing strong at the Old Gate, and the enemy was worn out and frustrated, defeated there. So my mother and sister are stationed at the Old Gate (our family gate) praying and interceding. Here is the Revelation according to the Word of God found in Nehemiah.